The caverns were opened to the public for a year in 1931 and then closed because of the Depression. As young boys, W.E. “Bill” Vananda and Harry Myers of Townsend played near the entrance to the caverns and frequently ventured into them. While students at Maryville College in 1949, they got to talking about the feasibility of opening the cave to the public. And over a cup of coffee they decided they would try to turn the cavers into a tourist attraction. Nobody would lend them money. Both were married and had two children. They went to Alaska and labored on construction jobs to raise funds. After fours years of lonely toil – the two men had carried in hundreds of tons of sand, cement and gravel on their backs to build steps and passageways – they opened the cave in 1953. Then came the big event when the Big Room was discovered in 1954 by members of the National Speleological Society. The group, headed by Burt H. Denton Jr. of Nashville, was part of the Tennessee Geological Cave Survey. Now open to the public as part of the mile-long guided tour, the big room is more than 400 feet long, 300 feet across, and 150 feet deep. (Mammoth Cave in Kentucky has maximum ceiling heights of only about 120 feet). The Big Room has stalagmites up to 24 feet high. In 1955, the Big Room was opened to the public at the same time electric lights were added, eliminating the use of kerosene lanterns used to show the scenic beauty of the underground world. The survey team remarked it had seen nothing as spectacular as Tuckaleechee Caverns east of Carlsbad Cavers in New Mexico. A few months later, another group of spelunkers (cave explorers) discovered another beautiful room near the Big Room but it couldn’t be opened to the public without destroying part of the Caverns. The newest section opened to the public includes the 210-foot high Silver Falls which is a double waterfall. Only the lower section may be fully viewed but visitors can look into a lighted upper room where the upper falls is located. On April 9, 1958, the Caverns hosted about 65 members of the National Speliological Society, for a dinner. John and the late Norma Wilson of Wilson’s Hillbilly Restaurant served the meal on white tablecloths beneath the Smokies. The spelunkers were attending a national convention in the area. Bill Vananda and his wife, Golden, and Harry Myers and his wife, Nita, owned and operated the caverns until 1982. Each couple ran the business on alternate days from April through October, seven days a week. The Myers sold their interest in the Caverns to the Vanandas in 1982. 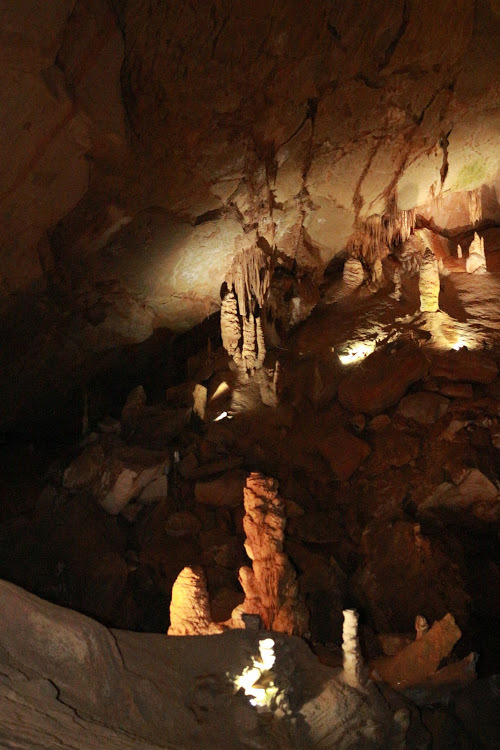 Popularity of the Caverns has grown from 2,000 visitors the first year to an average of over 50,000. 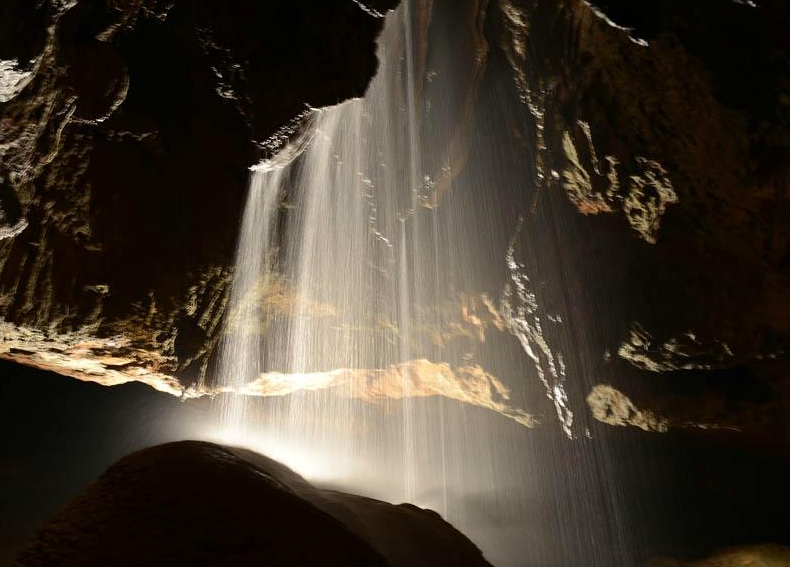 It is one of the 10,000 known caves in Tennessee.